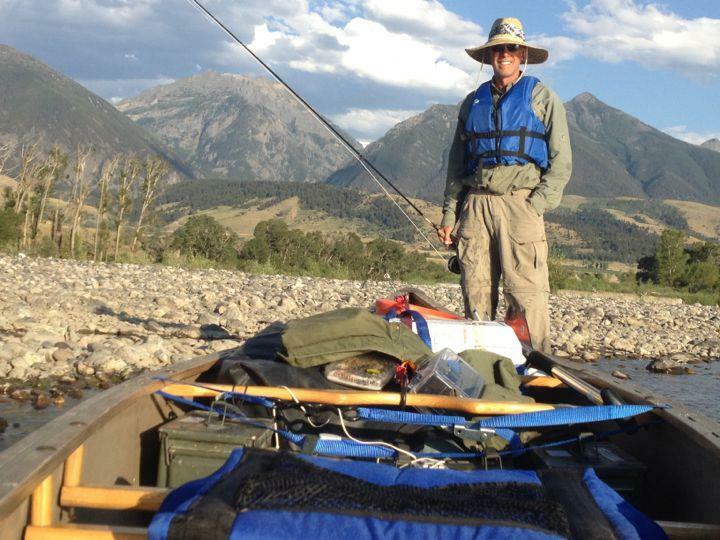 I had wanted to canoe the Yellowstone River for years and in July and August of 2012 I finally got my opportunity. Its about 557 miles from Gardiner, Montana to the Missouri River in North Dakota. Jim Griffin and I launched at McConnell Landing just below Gardiner, and used a raft to run Yankee Jim Canyon. At the fairly low water levels at the time we found it to be fairly easy with a raft. It can be dangerous at higher water levels or in a canoe or for inexperienced rafters. 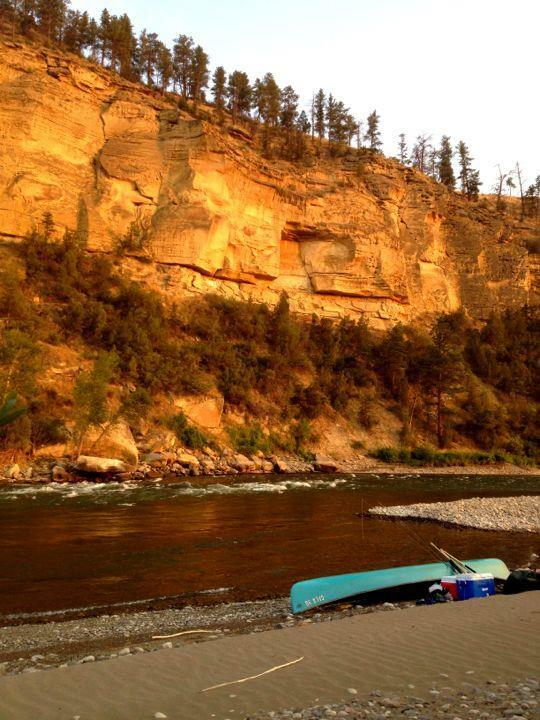 I had read the Yellowstone River is safe below Yankee Jim Canyon for competent beginner canoers. Untrue. Beginners would eventually end up in the water if going long distances because there are many rapids here and there, some with tight corners and standing waves plenty high to swamp a canoe. I am not a whitewater canoeing expert but have lots of canoeing experience. I nearly swamped the canoe once. Other places were exciting but I made it fine. Most of the river was a piece of cake with relatively warm water this late in the year and moderate water levels. There are also several diversion dams. I only had to portage one. The others I lined or took side channels around. It’s important to stay alert for these dams! It was easy to find places to camp. In Montana you can legally camp below high water mark. There was also public land in places including BLM, and fishing access sites which sometimes allow camping. I resupplied in places like Columbus, Forsyth, Miles City, and Glendive. Wildlife was plentiful: mule deer and whitetail, elk, beaver and mink, eagles, ospreys, pelicans and geese. The scenery was awesome, big mountains up high, with bluffs further down. Most of the river has a good current. It took me 23 days including lots of fishing. There was considerable wind at times, as often as not a tailwind. When the winds were especially bad I’d stop and make camp early. Nice! The Yellowstone is a very historical river too. It was interesting to see Captain Clark’s signature at Pompey’s Pillar where there is also a nice visitor’s center. There is also a great museum at the confluence, Fort Union. I plan to expand this entry as time allows. If you have questions, please ask! Sounds like a great trip. What did you do for drinking water? On this Yellowstone trip I treated river water with Aquamira drops . I also had maybe two gallons to start with and occasionally filled up my containers with water in towns.